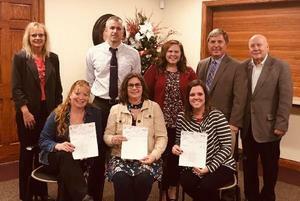 Meredith Hattan, Heather Markovich, and Carla Schaer applied for and received the Speer Grant, from Speer Bank. Due to to the forecast for inclement weather tonight into tomorrow morning, the Midland School District is canceled on Monday, November 26th. With the amount of snow and wind predicted, travel is considered unsafe.